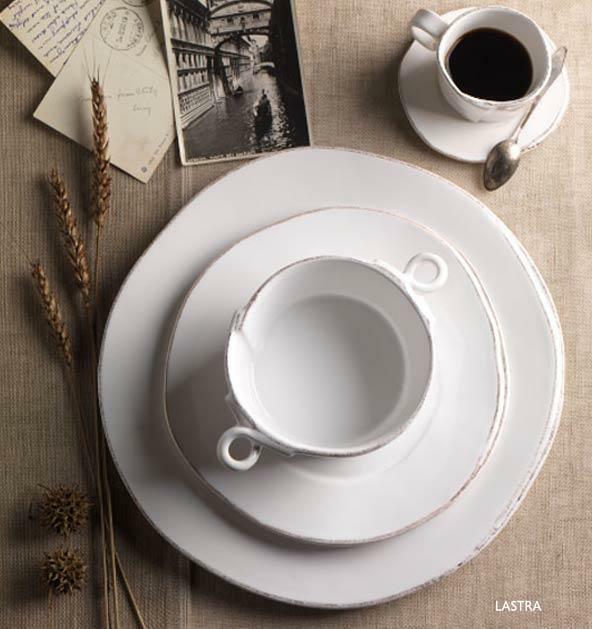 12"D Rustic yet chic, this collection will make a clean and sophisticated table-setting. Mix with gray Lastra for an eclectic look. Made in Tuscany of Italian stoneware. 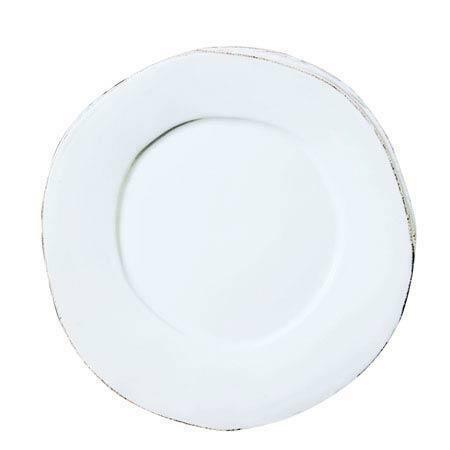 Microwave, freezer, dishwasher and oven safe and highly resistant to chipping. An overlapping wooden mold, used for centuries to form Parmesan and other cheeses throughout Italy, inspired Lastra’s rustic yet chic shapes. A dusting of brown at the edges suggests the ash that was used to preserve these artisan cheeses and highlights each unique silhouette. 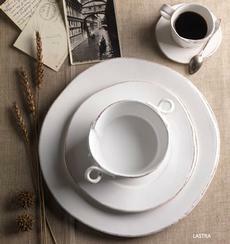 Handformed in Tuscany of Italian stoneware. Microwave, oven, freezer and dishwasher safe and highly resistant to chipping.